Maksymiuk, Katarzyna. 2017. A new proposal for the identification of the Sasanian commander Mermeróēs of Byzantine sources: Šāpur of Ray from Mehrān. In Mitko Panov (ed. ), The Byzantine missionary activity and its legacy in Europe, 93–98. Skopje: Euro-Balkan University. Šāpur of Ray, known also as Mermeroes in Procopius’ and Agathias’ narratives, was the spāhbed in the battles of Dara (June 530) and Satala (summer 530). In 542 he was dispatched by Xusrō I Anōšīrvān (r. 531–579) against the Byzantine fortress of Dara. In 548 Šāpur of Ray was sent at the head of a large army to relieve the fortress of Petra in Lazica, which was under siege by a combined Byzantine-Lazic force. He died of his illness at Mtskheta in the summer of 555. According to Ṭabarī at the time of Sukhrā’s fall, Šāpur of Ray was supreme Commander of the land (iṣbahbadh al-bilād). 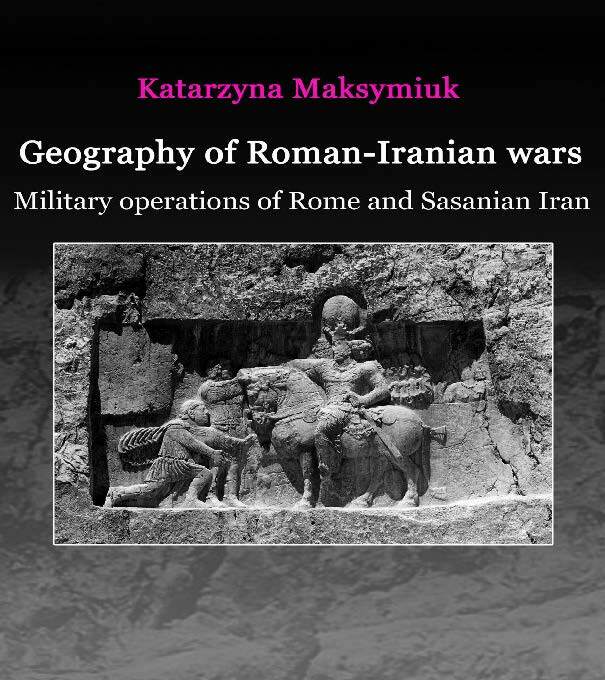 If we allow identification of Sukhrā and Siāwoš, the last commander of Iranian army with the title of Artēštārān sālār, then we must state that, after removing Sukhrā, Šāpur of Ray also held a high military rank until the military reforms of Xusrō I Anōšīrvān. Harrel, John. 2016. The Nisibis War: The Defence of the Roman East AD 337–363. Pen & Sword Military. The war of 337-363 (which the author dubs the ‘Nisibis War’), was an exception to the traditional Roman reliance on a strategic offensive to bring about a decisive battle. Instead, the Emperor Constantius II adopted a defensive strategy and conducted a mobile defence based upon small frontier (limitanei) forces defending fortified cities, supported by limited counteroffensives by the Field Army of the East. These methods successfully checked Persian assaults for 24 years. However, when Julian became emperor his access to greater resources tempted him to abandon mobile defence in favour of a major invasion aimed at regime change in Persia. Although he reached the Persian capital, Ctesiphon, he failed to take it, was decisively defeated in battle and killed. The Romans subsequently resumed and refined the mobile defence, allowing the Eastern provinces to survive the fall of the Western Empire. John Harrel applies his personal experience of military command to a strategic, operational, tactical and logistical analysis of these campaigns and battles, highlighting their long-term significance.